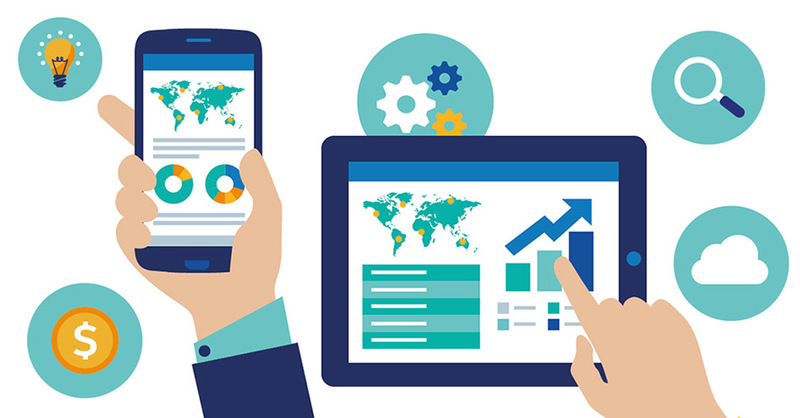 WHY ARE MOBILE ANALYTICS IMPORTANT? Mobile usage surpassed that of desktop in 2015 and is fast becoming consumers’ preferred portal to the internet. Always-on consumers spend 70 percent of their media consumption and screen time on mobile devices, and most of that time in smartphone apps. This is a tremendous opportunity for companies to reach their consumers, but it’s also a highly saturated market. There are more than 6.5 million apps in the major mobile app stores, millions of web apps, and more than a billion websites in existence. Companies use mobile analytics platforms to gain a competitive edge on mobile. HOW ARE MOBILE ANALYTICS DIFFERENT FROM WEB ANALYTICS? In the past, companies treated mobile and non-mobile devices as separate, and even used a separate vendor for their ‘web analytics,’ but this is no longer true. Most modern product analytics platforms track both. That said, the physical differences in screen sizes and aspect ratios lead to slightly different mobile and non-mobile results. On mobile, users have less screen real estate (4 to 7 inches) and interact by touching, swiping, and holding. As a result, app and site pages are more spartan with fewer navigation options. Fonts are larger, and users take relatively fewer actions. On a desktop, users have larger screens (10 to 17 inches) and interact by clicking, double-clicking, and using key commands. Desktop tracking generally involves more interactions, more content, larger menus, and more links per page. A good mobile analytics platform will account for these device disparities and provide one single, centralized dashboard that recognizes unique individuals and their behaviors across devices. HOW DO MOBILE ANALYTICS WORK? With this data, product and marketing teams can create positive feedback loops. As they update their site or app, launch campaigns, and release new features, they can A/B test the impact of these changes upon their audience. Based on how audiences respond, teams can make further changes which yield even more data and more testing. This creates a virtuous cycle which polishes the product. Mobile apps and sites and apps that undergo this process are far more effective at serving their user’s needs. Mobile analytics platforms vary widely in features and functionality. Some free applications have technical limitations on identifying users on mobile websites and web apps. The actual installation of mobile analytics will involve adding tracking code to the sites and SDKs to the apps you’d like to track. Most mobile analytics platforms will be set up to automatically track website visits (even retroactively). Platforms with codeless mobile features will be able to automatically track certain basic features of apps such as crashes, errors, and clicks, but you’ll want to expand that by manually tagging additional actions for tracking. With mobile analytics in place, you’ll have deeper insights into your mobile web and app users which you can use to create competitive, world-class products and experiences.